Spell check, thesaurus, and grammar engines, components, controls, libraries, SDKs, and source code for Visual Basic, ASP, HTML Web forms, Java, ActiveX. Spelling checker engines, thesaurus engines, and other linguistic components for software developers. We have moved our website to a new hosting service – please email sales@wintertree.com if you see something that does not look right or is not working. Click here for help with selecting the right spellcheck product for your needs. Add spellcheck capability to your Web forms and ASP and .NET based applications written in VBScript, VB.NET, or C# with Wintertree Spelling Server. Wintertree Spelling Server has the power you need to spell check text areas in Web/HTML forms on high-traffic Web sites and intranets which use 32-bit or 64-bit IIS on Windows NT, 2000, XP, Vista, Windows 7, Windows Server 2003, Windows Server 2008, etc.. NEW Version 1.9: Both 32-bit and 64-bit DLLs included. A spell-check DLL you can call from Windows apps you develop in VB, VB.NET, MFC, C/C++, C#, Delphi, etc. to add a powerful, professional quality spell checker in minutes. Works with all Windows systems, including Win 9x, NT, 2000, XP, Vista, Windows 7. 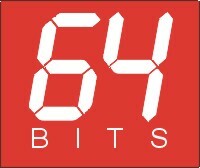 NEW Version 5.17: Both 32- and 64-bit DLLs included. A spell-check API in a Java class library you can use in your applets, applications, servlets, and JSPs. Sentry Spelling Checker Engine for Java provides everything you need to add a full, professional-quality spellchecker to your Java applications, applets, and servlets. An ActiveX control you can use in VB and Web pages viewed with IE to quickly add a professional quality spellchecker your users will really appreciate. Spell check your site's Web/HTML forms with this easy-to-use client-side spelling applet. Portable, client-side spelling solution. Wintertree Spell Check Applet includes everything you need to let web clients spell-check text they enter in HTML forms. Works with most browsers on most platforms. The Sentry Spelling Checker C Engine Source Code provides everything needed to add a powerful yet easy-to-integrate spellchecker to your C/C++ applications on virtually any platform including UNIX/Linux, in applications ranging from embedded systems and handheld devices to high-powered servers. Dictionaries in 11 Western European languages for Sentry, Wintertree Spelling Server, Spell Check Applet, and WSpell. Medical and legal supplements for Wintertree's English dictionaries also available. Word lists formatted as text files with one word per line. Wintertree Thesaurus Engine for Windows provides everything you need to add a full thesaurus or synonym finder capability to Microsoft Windows applications you develop. Wintertree Thesaurus Engine is compatible with most DLL-capable environments, including Visual C++ (including MFC), Borland C++, Visual Basic, Delphi, and MS Access. A thesaurus API implemented as a Java class library. Wintertree Thesaurus Engine for Java provides everything you need to add a general-purpose thesaurus capability or synonym finder to your Java applications. Full ANSI C source code for the thesaurus engine. Wintertree Thesaurus Engine Source Code provides everything you need to add a full thesaurus or synonym finder capability to applications you develop. Full, portable ANSI C source code, compilable on virtually all platforms including Windows, UNIX/Linux, and Macintosh, is included. Wintertree Thesaurus Engine is ideal for use in desktop applications and servers. A grammar checker and powerful text-searching engine in a Win32/COM DLL. Call the WGrammar DLL from your Windows applications to check text for grammatical problems or perform sophisticated text searching. Looking to spellcheck text areas in Web forms? Click here! High performance spell checking for Web servers - Click here for more info.